Is canned crab meat good for your health and any recipes? Crab meat in the cans can become a serious cheaper alternatives when you want to eat crab but with small budget. We understand that most of crab meat sold in high price and thus buying canned crab meat will be a big advantage, not to mention it can last longer than the fresh or frozen crab meat even for years. 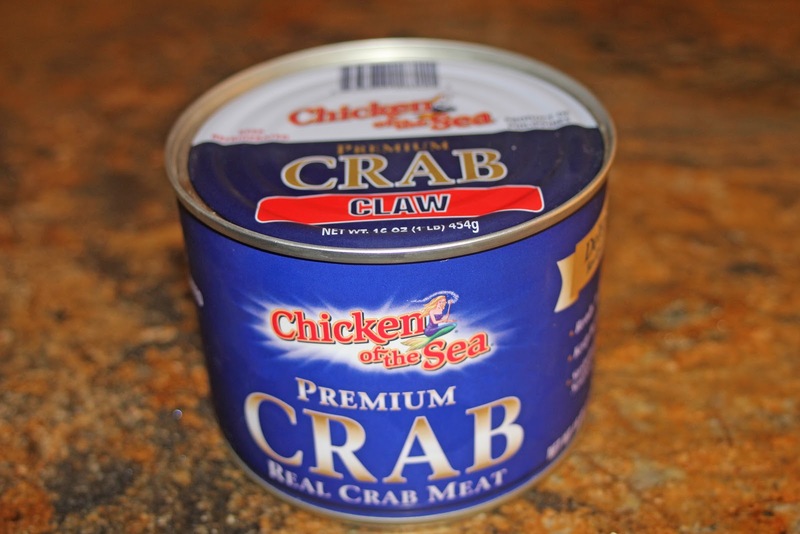 Here is some information you need to understand regarding the crab meat packed in cans. Is canned crab meat good for your health? Just like any fresh and frozen crab meat, the canned crab meat is also packed with nutritional benefits. Is canned crab meat good for your health? Of course it is! They are rich in minerals, vitamins, and protein, meaning that they are not only offers lower price solution for the usual rich fresh crab meat, but they offer healthy benefits as well. Crab meat is a good source for various antioxidants vitamins and in a serving of crab meat about 3 ounce packed with 2.805 milligrams of vitamin C, 5.100 IU of vitamin A, and .850 milligrams of vitamin E. In addition for these vitamins, the crab meat in cans also rich in vitamin B12 and 3 ounce per serving of crab meats contains 6.205 mcg of vitamin B12 and it is about 103 percents of the recommended value. Vitamin B12 is important to support red blood cell production. There is no doubt that crab meat has high content of protein since a serving of 3 ounce of canned crab offers 17.17 gram of protein. Is canned crab meat good if contains calories and fats? There is no worry with both the calories and fats contained in the canned crab meat because they are low in calories which is only 86 calories. As for the fats, they are also contains small amount of fat which is saturated fats that considered to be healthy. 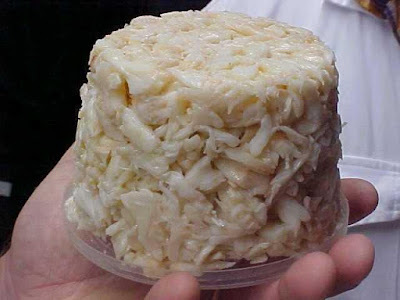 However, the crab meat is indeed high in cholesterol because 3 ounce of crab meats offers 85 milligrams of cholesterol and thus it is better for you to limit the consumption of the canned crab meats. Canned crab meat is not only good in low calories and fats, but they are also contains essential fats such as omega-3 fatty acids that important to keep healthy heart. Omega-3 fats have important role to decrease the risk of cardiovascular diseases such as heart attack. Meanwhile, the DHA and EPA in the omega-3 fats good for brain development and its overall body function. It is recommended that you eat seafood packed with high level of omega-3 fatty acids such as crab meat because it helps to stabilize your mood, prevent cancers, and improve memory as well. Crab meat is not only rich in omega-3 fats but also in minerals. Nutritional minerals value in the 3 ounce of crab meats are 24 percent of zinc RV, 18 percent of phosphorous RV, 27 percent of copper RV, and 1 cup of crab meat contains 57.9 mcg of selenium. These minerals are important to support your body systems and functions. For example, the zinc can help to fight against free radicals, phosphorous good to keep healthy bones and teeth, and copper helps collagen and red blood cells production. Is canned crab meat good for your health? If you are still in doubt that whether eating crab meat is good for your health or not then in the canned crab meat contains chromium. This substance helps to lower glucose level in your diet as well as helps to increase good cholesterol level or HDL. This is mean that eating crab meat can help to lower the risk of heart diseases and stroke. Although crab meat contains those various nutritional values good for your health, but you still need to take some considerations when eating canned crab meat. If you have allergy to crab meat then obviously you cannot eat them or any dishes that contained crab meat in it. Symptoms of crab allergy can range from mild rash to a life threatening reaction and thus be careful when select your meals if you have allergy to crabs. In addition, crab meats also contain some amount of purines which can trigger gouts attack in some individuals. When you want to buy canned crab meats then make sure that you check on the nutritional values and the ingredients list. It is better to select a canned crab meat brand that offer low amount of sodium because over consume of sodium can lead to certain health risks. 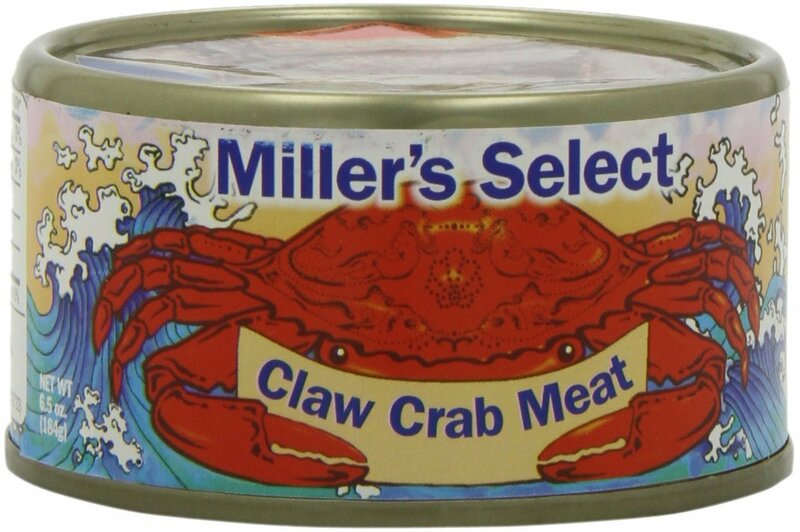 Moreover, check for the expiration dates to make sure that the canned crab still edible. Is canned crab meat good for any recipes? In certain recipes application, canned crab is fine such as for pizza topping, soup, dip, etc. However, it is not good to be used in recipes with the main ingredients or the highlight is crab meats. Therefore, we suggest that you use fresh or frozen whole crab meats instead. 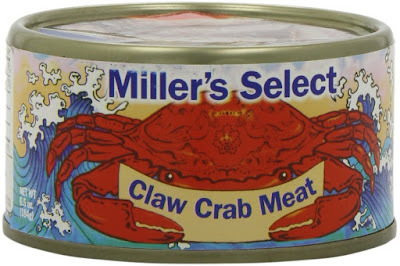 In the supermarket or grocery stores, there is lot of different brands of canned crab. 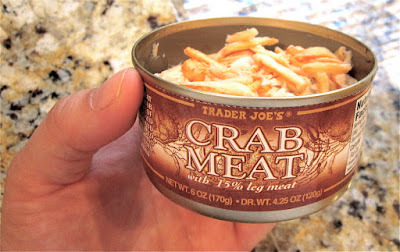 If you buy and check them then there is a canned crab fill with good chunks of crab meat. Pay attention to the imitation canned crab meat. This is not a real crab meat but in fact the brand just packed some meat fish with texture just like crab meats and then adds some crab flavor additives. They are sometime sold as canned crab flakes a bit like fish puree thus when you want to look for the best canned crab meat, you should make sure that you buy true canned crab meat. Although imitation canned crab meat will be cheaper. Is canned crab meat good with additional seasonings? Some products like to give additional seasonings to add more flavors to the crab meat which is okay if you like to taste unique flavors.